 The Washington, D.C. Chapter of the National Speakers Association (NSA-DC) is the organization of choice for more than 100 professional speakers serving the Greater Washington, D.C. Metropolitan area. Please Note: Refunds and credits will not be given for meetings and events if you have registered and are unable to attend. NSA-DC offers a variety of services for the established speaker, training for the aspiring speaker, and is the go-to resource for meeting planners nationwide looking for five-star professional speakers. Methods and Models to enhance platform skills, develop your expertise, and grow your business. YOU, our members are why we are here—to connect, collaborate and communicate. Come experience NSA DC. We are your community, and your speaking future!